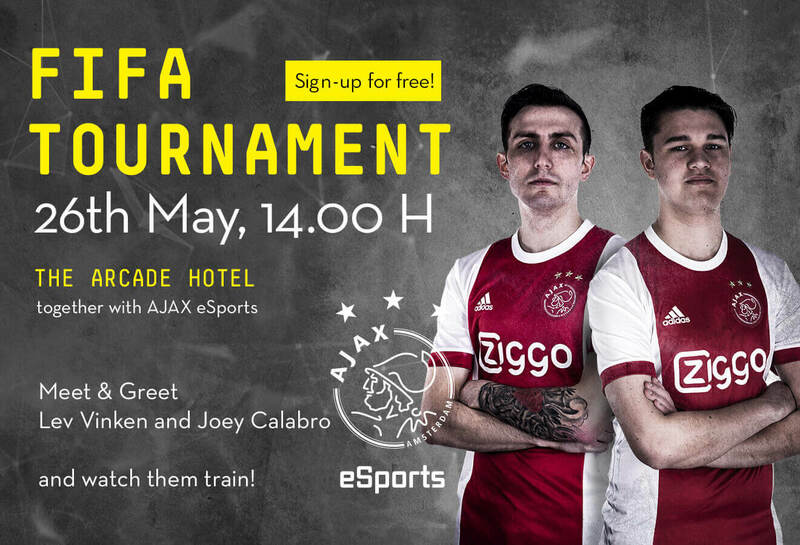 Meet and Greet with Lev Vinken and Joey Calabro from AJAX eSport and watch them prepare themselves in one hour of public training. 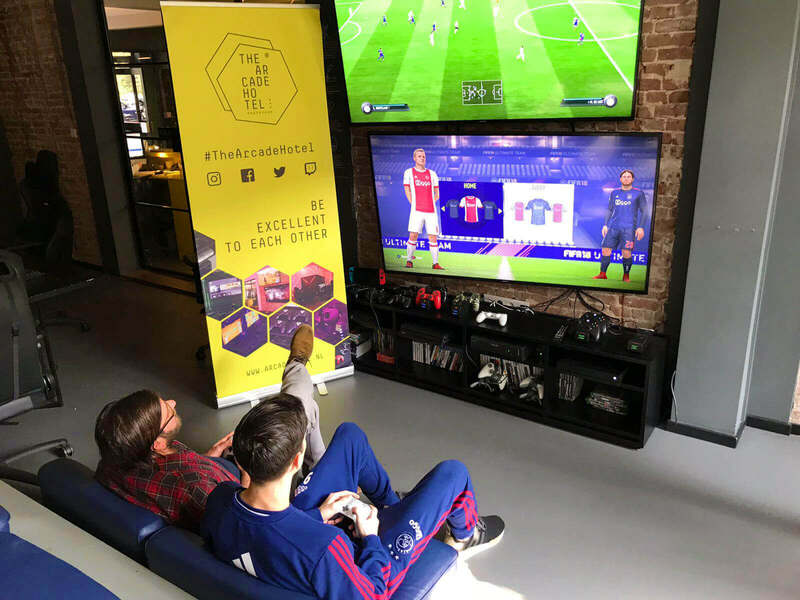 SIGN UP is mandatory for this! Before joining AJAX this year, Lev was playing on loan for Sparta Rotterdam in 2017. 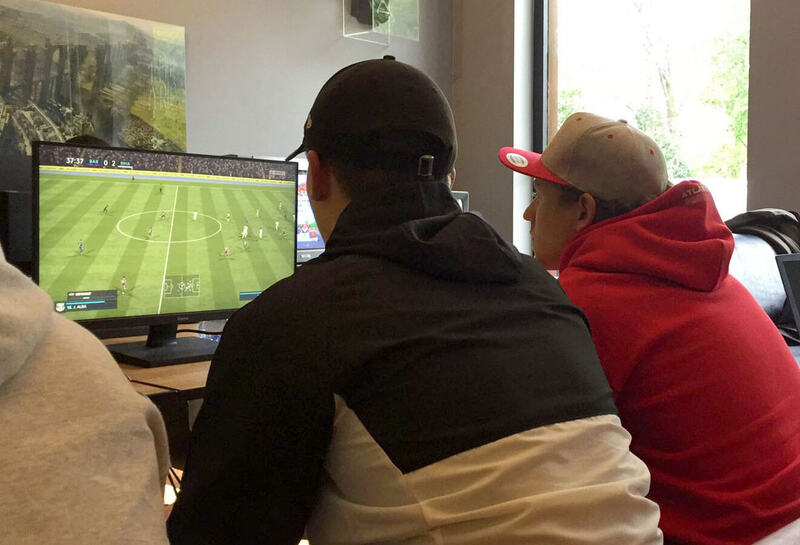 Joey comes straight out of the USA where he has been a pro gamer since 2016 (ePlayer Epsilon and New York City). 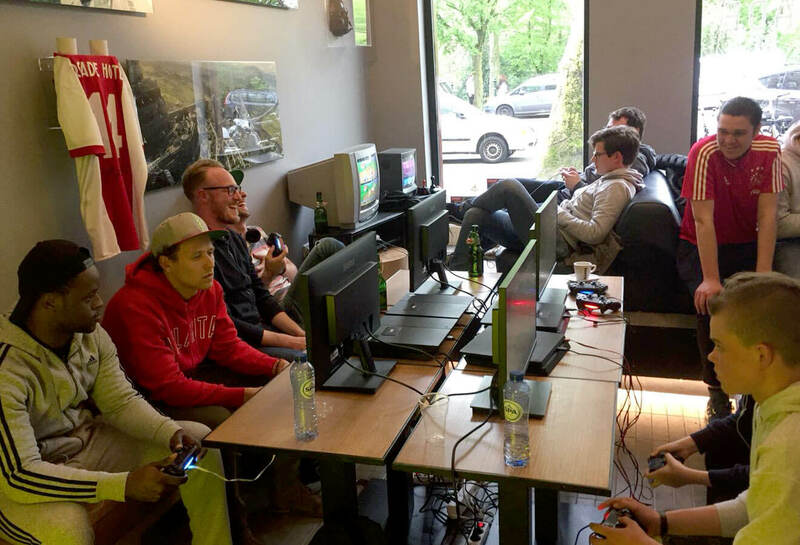 The first 32 players that check-in at The Arcade before 14 h on the day of the tournament get to take part in the tournament. 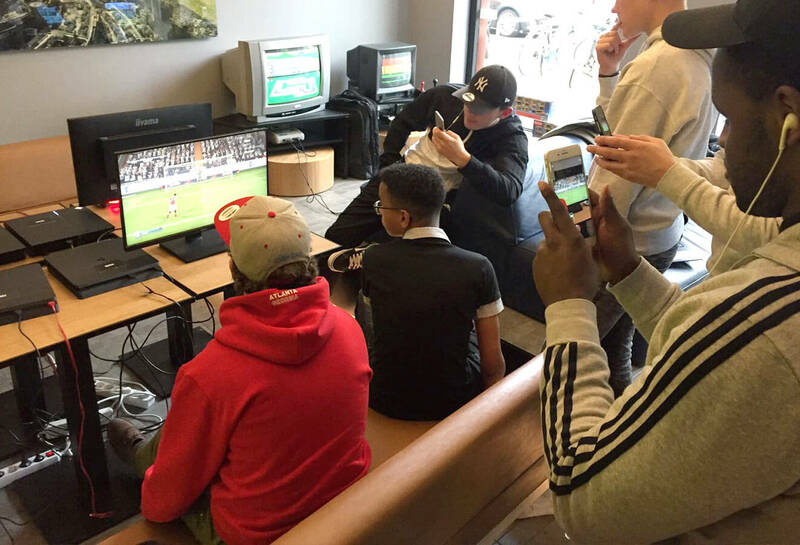 Play with the pro: 2 vs. 2 with Lev and Joey from AJAX eSports in the lobby on the big screen. Open for everyone!